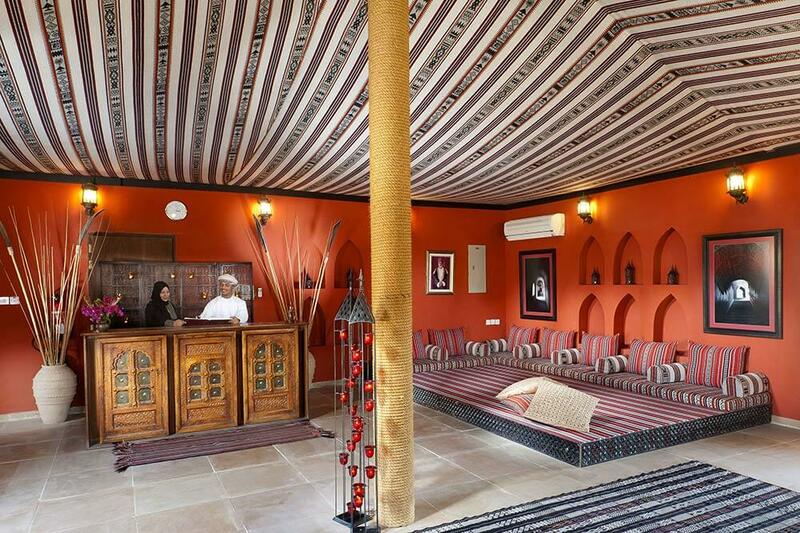 The best way to experience the awesome, rolling beauty and mountainous dunes of the Omani desert? 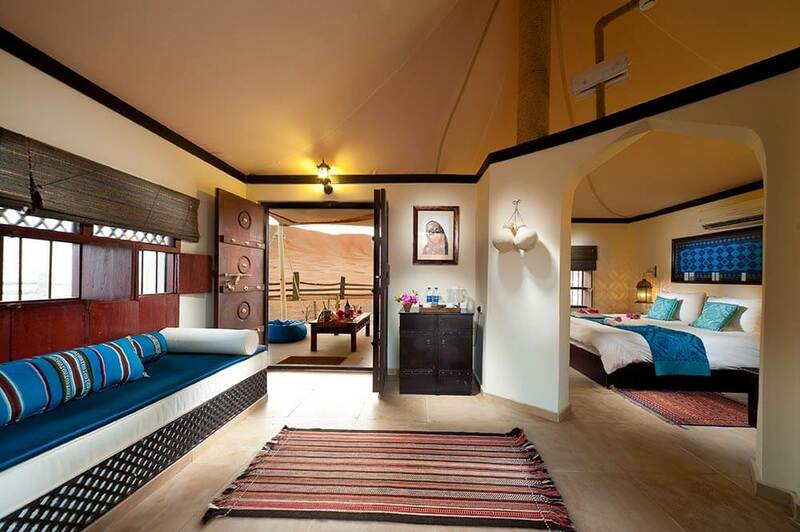 Stay in the rich luxury of a contemporary Bedouin tent. The emptiness, the sheer size and the uncompromising nature of the Wahiba desert has a romantic appeal all its own. As a visitor you become infused with a sense of adventure; whether you’re serenely gliding across the horizon on the ‘ship of the desert’ – a surefooted camel – or powering up the side of a mighty dune aboard an all terrain vehicle. Make sure that Desert Night Camps in part of your experience – put it on the itinerary of your luxury, tailor-made holiday to Oman – and you’ll discover the desert has yet another dimension. 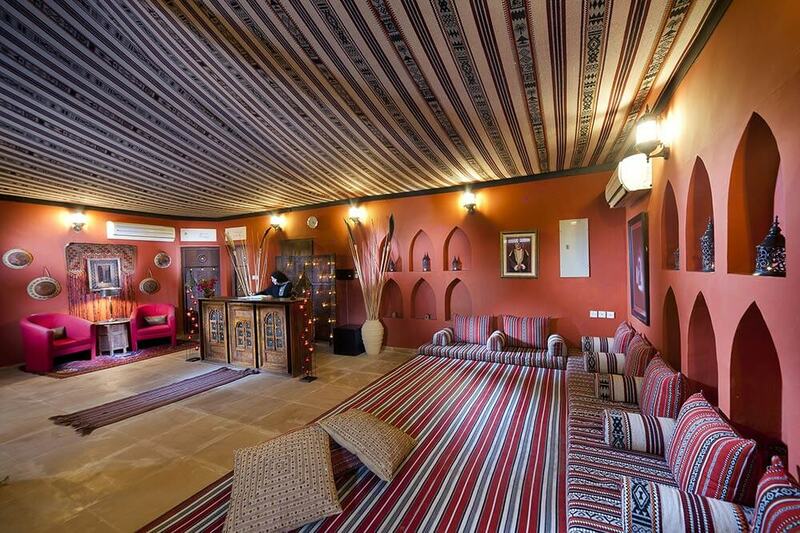 You’ll be staying in a sumptuously appointed, modern day, Bedouin-style tent. 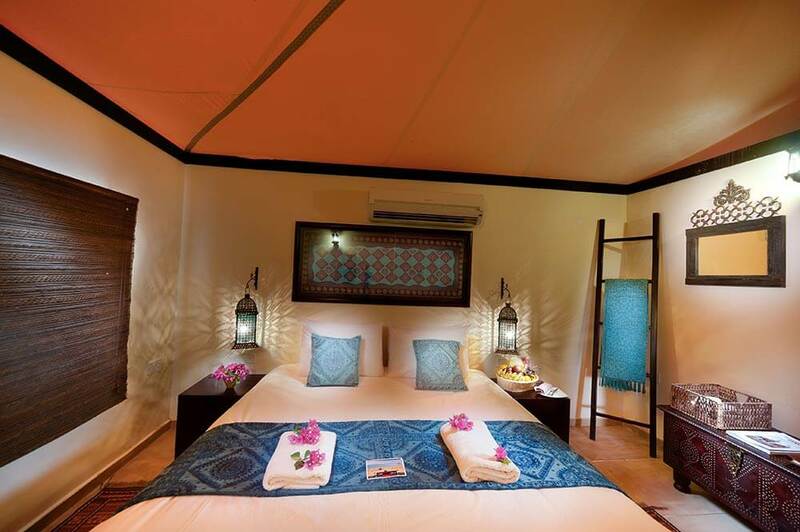 Complete with canopied beds, fantastic designer bathrooms, gorgeous fabrics, local Arabian artefacts and the bewitching fragrance of frankincense and myrrh. A true ‘Arabian Nights’ experience.